When is it owed, politically? By whom, and when? Who should dispense it, and who should receive it? Not abstract questions. Not, certainly, on the weekend that federal Liberals were gathering in Halifax for their annual convention. Not in the case of Liberal MP Francis Drouin – who stands accused of sexual assault in downtown Halifax, just hours before a workshop on sexual harassment was about to get underway. Not abstract, either, in the difficult and ongoing case of Droin’s colleague – and former cabinet minister- Kent Hehr. I retweeted what she said. Within hours, hundreds of others retweeted or liked it, as well. It went viral. The next day, as revelations about Patrick Brown‎ were still landing – and revelations about the just-dumped Nova Scotia PC leader, as well – Kent Hehr abruptly cancelled a funding announcement in Toronto. Shortly afterwards, Hehr resigned from cabinet. For reasons that are unclear, the Prime Minister kept him in caucus, however. And an ostensibly arms-length investigation remains ongoing into the various allegations against Hehr. The women who have contacted this writer, however – as well as one of the Alberta women who came forward to accuse Hehr of inappropriate behavior – are not happy to hear about that. At all. And that, of course, is indisputably true: many male abusers still lurk in the corridors of power. #MeToo has unmasked some of them, but not all. They are still out there. 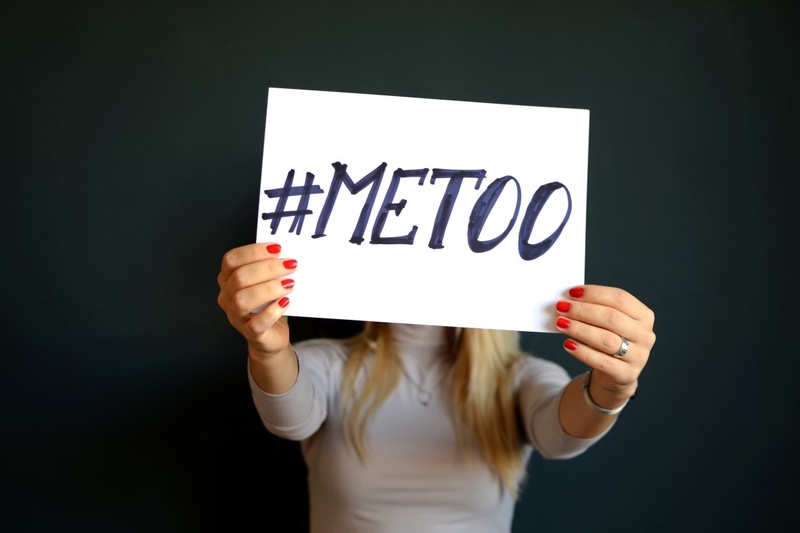 Some even pretend to be supporters of the #MeToo movement. What, then to do about Kent Hehr? Should he be permitted to attend workshops like Lalonde’s, and thereby achieve some small PR victory – or, ideally, learn something? Or, as his (many) critics have said, Hehr should be removed from the Liberal party caucus – and barred from workshops like the one in Halifax – until (a) the investigation is over and (b) he performs an act of contrition that is clear and unambiguous and public? Women should decide, not men. Women, after all, are disproportionately the victims of male political predators. This man’s take, offered merely as an opinion: Kent Hehr should have stayed away, and Julie Lalonde should not have said she would “love” to have had him there. Until the investigation is complete – and until all the facts are known – that workshop belonged to the women. Not Kent Hehr. Not Francis Drouin, either. The whole thing was just a PR stunt. There have been allegations against Hehr for months. He left cabinet at the end of January but there were many other allegations of inappropriate behaviour long before that. So why wasn’t he doing these seminars on his own time since he resigned his cabinet post. Nope. They had to wait until the Liberal convention with all the gathered media there to get the most PR bang for their buck. Perhaps, depending on the purpose of the workshop, but in any event, surely not by Twitter. Whatever happened to the “very powerful” man whose name was all over multiple affidavits? Did that story just vanish? Did it ever have a leg to stand on in the first place? Or are powerful interests actively taking measures to keep it hidden from the public? He’s still there. Both of them. Warren knows. I know. Some MP’s know. Some of the parliamentary press gallery know. Others also know. The affidavits are real. It’s not up to anyone but the people who swore the affidavits to release their contents. The decision is theirs and theirs alone. Seems to me Kang, Drouin, Hehr et al. are the fruits of the non-democratic green light committee’s “sole and unfettered” discretion. As Justin Trudeau gave the final nod, he is ultimately the villain here. The twisted logic is obvious: Hehr the sainted cripple, Kang the magical “brown” man. The Liberal Party shows a kind of political Gresham’s Law – bad eggs, horndogs and astonishingly incompetent people drive out good people. The only chance is more Jerry Bances lurking in the Conservative camp. Political parties are tumours. Like the Catholic Church, the Police, military (in a democracy) and teachers, political parties are representative of society. I am Conservative, but I hold no illusion that the NDP, Tories, Liberals or Greens are any different than the societies from which they draw. What does disturb me is the arbitrariness with which these cases are handled.